Floral & Earth Scented - Enchanted Garden's... All Over Body Oil! "Magically" scented with mesmerizing shades of flower and earth scents! We've changed the dropper bottle lid to black treatment pump lids. PUT A LITTLE "MAGIC" IN YOUR WORLD! The perfect "Magical" blend of Apricot, Jojoba, and Sunflower oils, along with Sage, Lavender, and Rosewood Essential Oils, with Sage, Lavender flowers, and Rose Buds. Use for beautiful skin and radiance. The perfect balance to soften and soothe all types of dry skin. This blend contains dried sage, lavender, and rose petals and/or buds within the oil in the bottle. This blend contains dried lavender, orange zest, and rose petals and/or buds within the oil in the bottle. The perfect "Magical" blend of Apricot, Jojoba, and Sunflower oils, along with Lavender, Neroli, and Rosewood Essential Oils, with Lavender flowers, Orange zest, and Rose Buds. 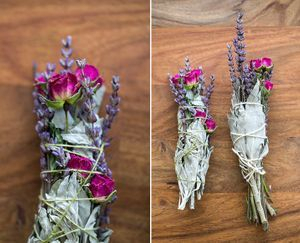 This blend contains dried sage, rosemary, and rose petals and/or buds within the oil in the bottle. The perfect "Magical" blend of Apricot, Jojoba, and Sunflower oils, along with Sage, Roemary, and Rosewood Essential Oils, with Sage, Rosemary, and Rose Buds. 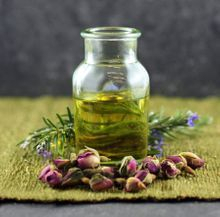 This blend contains dried rosemary and rose petals and/or buds within the oil in the bottle. The perfect "Magical" blend of Apricot, Jojoba, and Sunflower oils, along with Rosemary and Rosewood Essential Oils, with Rosemary and Rose Buds. Earth (dirt)... literally! Unisex... a delightfully earthy... woody type scent! This blend contains empty snail shells within the oil in the bottle.